Woofer is heckin handsome with his new handkerchief! Oh hi, you found a rare pupper! My stoopid collie barking at wheelbarrow. It’s one of his favorite toys! r/rarepuppers is a public room. Anyone with the link can join! 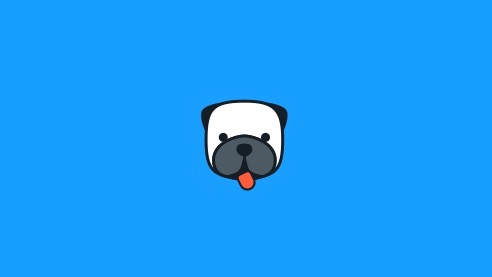 Chatdog is a fun, privacy-friendly messaging service! r/rarepuppers is a public room. Rarepuppers is a public room. These Terms of Service (“Terms”) are between you and Chatdog, Inc. (“Chatdog”). These Terms govern your access to and use of our Chatdog services, including our Chatdog mobile applications (“Apps”), our websites, including the website located at https://chatdog.com (collectively, the “Services”). ARBITRATION NOTICE: UNLESS YOU OPT OUT OF ARBITRATION WITHIN 30 DAYS OF THE DATE YOU FIRST AGREE TO THESE TERMS BY FOLLOWING THE OPT-OUT PROCEDURE SPECIFIED IN SECTION 12 (“DISPUTE RESOLUTION”), AND EXCEPT FOR CERTAIN TYPES OF DISPUTES DESCRIBED IN SECTION 12, YOU AGREE THAT DISPUTES BETWEEN YOU AND Chatdog WILL BE RESOLVED BY BINDING, INDIVIDUAL ARBITRATION AND YOU ARE WAIVING YOUR RIGHT TO A TRIAL BY JURY OR TO PARTICIPATE AS A PLAINTIFF OR CLASS MEMBER IN ANY PURPORTED CLASS ACTION OR REPRESENTATIVE PROCEEDING. You may use the Services only if you can form a binding contract with Chatdog and are not a person barred from receiving services under the laws of the United States or other applicable jurisdiction. If you are accepting these Terms and using the Services on behalf of a company, organization, government, or other legal entity, you represent and warrant that you are authorized to do so. You may use the Services only in compliance with these Terms and all applicable local, state, national, and international laws, rules and regulations. Your access to and use of the Services is conditioned on your acceptance of and compliance with these Terms. By accessing or using the Services you agree to be bound by these Terms. The Services that Chatdog provides are always evolving and the form and nature of the Services may change from time to time without prior notice to you. In addition, Chatdog may stop (permanently or temporarily) providing the Services (or any features within the Services) to you or to users generally and may not be able to provide you with prior notice. We also retain the right to create limits on use and storage at our sole discretion at any time without prior notice to you. If you want to use certain features of the Services you’ll have to create an account and become a registered user (“User”). It’s important that you provide us with accurate, complete and up-to-date information for your account and you agree to update such information, as needed, to keep it accurate, complete and up-to-date. If you don’t, we might have to suspend or terminate your account. We reserve the right to force forfeiture of any username for any reason. You are responsible for safeguarding the password or credentials that you use to access the Services and for any activities or actions under your account. We encourage you to use “strong” passwords (passwords that use a combination of upper and lower case letters, numbers and symbols) with your account. Chatdog cannot and will not be liable for any loss or damage arising from your failure to comply with the above requirements. You’re responsible for all activities that occur under your account, whether or not you know about them. The Services may include advertisements, which may be targeted to the content or information on the Services, queries made through the Services, or other information. The types and extent of advertising by Chatdog on the Services are subject to change. In consideration for Chatdog granting you access to and use of the Services, you agree that Chatdog and its subsidiary, third party providers and partners may place such advertising on the Services or in connection with the display of content or information from the Services whether submitted by you or others. The Services enable you to create or join chats to message with other Users. When you use the App, you will be able to create or join chats and invite others users to join your chat. You can add Connections by inviting them to connect on the Services. Once you create and share a chat your connections or any other users online would be able to message in it. If you choose to import your personal contacts from your mobile device we will access your personal contacts in order to identify Users that you may know that are using the Services and to provide other Users with suggestions for potential Connections based on mutual contacts. We may offer you the opportunity to invite your Connections or other contacts to join your group chats or otherwise enjoy the Services. If you choose to invite one or more of your Connections or contacts using text messaging (SMS) or another communications app we may suggest content for the message. You may be able to edit that suggested content, and if you choose to send text message invitations, those messages will be sent from the native SMS application on your device. If you choose to send such invitations, you represent to Chatdog that the recipients of such invitations have consented to receive such messages from you, and that those recipients do not consider such messages unwanted or unsolicited. For purposes of these Terms: (i) “Content” means text, graphics, images, music, software, audio, video, works of authorship of any kind, and information or other materials that are posted, generated, provided or otherwise made available through the Services; and (ii) “User Content” means any Content that you provide or import to be made available through the Services. Content includes, without limitation, User Content. We do not endorse, support, represent or guarantee the completeness, truthfulness, accuracy, or reliability of any Content or communications posted via the Services or endorse any opinions expressed via the Services. You understand that by using the Services, you may be exposed to Content that might be offensive, harmful, inaccurate or otherwise inappropriate, or in some cases, postings that have been mislabeled or are otherwise deceptive. Under no circumstances will Chatdog be liable in any way for any Content, including, but not limited to, any errors or omissions in any Content, or any loss or damage of any kind incurred as a result of the use of any Content posted, emailed, transmitted or otherwise made available via the Services or broadcast elsewhere. Chatdog does not claim any ownership rights in any User Content. You retain your rights to any User Content you submit, post or display on or through the Services. Subject to your ownership of your User Content, all right, title, and interest in and to the Services and Content are and will remain the exclusive property of Chatdog and its licensors (including other Users). The Services are protected by copyright, trademark, and other laws of both the United States and foreign countries. Chatdog reserves all rights not expressly granted in these Terms. In order to make the Services available to you and other Users, Chatdog needs a license from you. By submitting, posting or displaying User Content on or through the Services, you grant us a worldwide, non-exclusive, royalty-free license (with the right to sublicense) to use, copy, reproduce, process, adapt, modify, publish, transmit, display and distribute such Content in any and all media or distribution methods (now known or later developed). Notwithstanding the foregoing and any other provision in these Terms, the content of your video chat sessions will only be used by us for the purpose of providing you the Services and for no other purpose. You are responsible for your use of the Services, for any User Content you provide, and for any consequences thereof, including the use of your User Content by other Users with whom you participate in a group video chat. You should only provide User Content that you are comfortable sharing with others under these Terms. Chatdog will not be responsible or liable for any use of your User Content by Chatdog in accordance with these Terms. You represent and warrant that you have all the rights, power and authority necessary to grant the rights granted herein to any User Content that you submit. You also represent and warrant that neither your User Content, nor your use and provision of your User Content to be made available through the Services, nor any use of your User Content by Chatdog on or through the Services will infringe, misappropriate or violate a third party’s intellectual property rights, or rights of publicity or privacy, or result in the violation of any applicable law or regulation. Subject to your compliance with these Terms, Chatdog grants you a limited, non-exclusive, non-transferable license to access and view the Content posted by other Users via the Services solely in connection with your permitted use of the Services and solely for your personal and non-commercial purposes. You acknowledge and agree that any feedback, comments, or suggestions you may provide regarding Chatdog, or the Services is entirely voluntary and we will be free to use such feedback, comments or suggestions as we see fit and without any obligation to you. Subject to your compliance with these Terms, Chatdog grants you a limited non-exclusive, non-transferable, non-sublicensable license to download and install a copy of the App on any mobile device or computer that you own or control and to run such copy of the App solely for your own personal, non-commercial purposes. You may not copy the App, except for making a reasonable number of copies for backup or archival purposes. Except as expressly permitted in these Terms, you may not: (i) copy, modify or create derivative works based on the App; (ii) distribute, transfer, sublicense, lease, lend or rent the App to any third party; (iii) reverse engineer, decompile or disassemble the App; or (iv) make the functionality of the App available to multiple users through any means. Chatdog reserves all rights in and to the App not expressly granted to you under these Terms. These Terms are concluded between you and Chatdog, and not with App Provider, and that, as between Chatdog and the App Provider, Chatdog, is solely responsible for the App. In the event of any failure of the App to conform to any applicable warranty, you may notify App Provider and App Provider will refund the purchase price for the App to you (if applicable) and, to the maximum extent permitted by applicable law, App Provider will have no other warranty obligation whatsoever with respect to the App. Any other claims, losses, liabilities, damages, costs or expenses attributable to any failure of an App to conform to any warranty will be the sole responsibility of Chatdog. In the event of any third-party claim that the App or your possession and use of the App infringes that third party’s intellectual property rights, Chatdog will be solely responsible for the investigation, defense, settlement and discharge of any such intellectual property infringement claim to the extent required by these Terms. Chatdog respects copyright law and expects its Users to do the same. It is Chatdog’s policy to terminate in appropriate circumstances Users who repeatedly infringe or are believed to be repeatedly infringing the rights of copyright holders. Please see Chatdog’s Copyright Policy, for further information. The Terms will continue to apply until terminated by either you or Chatdog as follows. You may end your legal agreement with Chatdog at any time for any reason by deactivating your account and discontinuing your use of the Services. In order to deactivate your account, please contact us: hi@chatdog.com. We may suspend or terminate your account or cease providing you with all or part of the Services at any time for any reason, including, but not limited to, if we reasonably believe: (i) you have violated these Terms, (ii) you create risk or possible legal exposure for us; or (iii) our provision of the Services to you is no longer commercially viable. We will make reasonable efforts to notify you by the email address associated with your account or through the Services the next time you attempt to access your account. In all such cases, the Terms shall terminate, including, without limitation, your license to use the Services, except that the following sections shall continue to apply: 4, 5, 7, 8, 9, 10, 11, 12 and 13. Nothing in this section shall affect Chatdog’s rights to change, limit or stop the provision of the Services without prior notice, as provided above in Section 1. You will indemnify and hold harmless Chatdog and its officers, directors, employee and agents, from and against any claims, disputes, demands, liabilities, damages, losses, and costs and expenses, including, without limitation, reasonable legal and accounting fees arising out of or in any way connected with (i) your access to or use of the Services or Content, (ii) your User Content, or (iii) your violation of these Terms. Please read this section carefully since it limits the liability of Chatdog and its parents, subsidiaries, affiliates, related companies, officers, directors, employees, agents, representatives, partners, and licensors (collectively, the “Chatdog Entities”). Each of the subsections below only applies up to the maximum extent permitted under applicable law. Some jurisdictions do not allow the disclaimer of implied warranties or the limitation of liability in contracts, and as a result the contents of this section may not apply to you. Nothing in this section is intended to limit any rights you may have which may not be lawfully limited. Your access to and use of the Services or any Content is at your own risk. You understand and agree that the Services is provided to you on an “AS IS” and “AS AVAILABLE” basis. Without limiting the foregoing, Chatdog ENTITIES DISCLAIM ALL WARRANTIES AND CONDITIONS, WHETHER EXPRESS OR IMPLIED, OF MERCHANTABILITY, FITNESS FOR A PARTICULAR PURPOSE, OR NON-INFRINGEMENT. Chatdog Entities make no warranty and disclaim all responsibility and liability for: (i) the completeness, accuracy, availability, timeliness, security or reliability of the Services or any Content; (ii) any harm to your computer system, loss of data, or other harm that results from your access to or use of the Services, or any Content (including without limitation any unlawful use of the Services); (iii) the deletion of, or the failure to store or to transmit, any Content and other communications maintained by the Services; (iv) whether the Services will meet your requirements or be available on an uninterrupted, secure, or error-free basis. No advice or information, whether oral or written, obtained from Chatdog Entities or through the Services, will create any warranty not expressly made herein. The Services may contain links to third-party websites or resources. You acknowledge and agree that we are not responsible or liable for: (i) the availability or accuracy of such websites or resources; or (ii) the content, products, or services on or available from such websites or resources. Links to such websites or resources do not imply any endorsement by Chatdog Entities of such websites or resources or the content, products, or services available from such websites or resources. You acknowledge sole responsibility for and assume all risk arising from your use of any such websites or resources. TO THE MAXIMUM EXTENT PERMITTED BY APPLICABLE LAW, THE Chatdog ENTITIES SHALL NOT BE LIABLE FOR ANY INDIRECT, INCIDENTAL, SPECIAL, CONSEQUENTIAL OR PUNITIVE DAMAGES, OR ANY LOSS OF PROFITS OR REVENUES, WHETHER INCURRED DIRECTLY OR INDIRECTLY, OR ANY LOSS OF DATA, USE, GOOD-WILL, OR OTHER INTANGIBLE LOSSES, RESULTING FROM (i) YOUR ACCESS TO OR USE OF OR INABILITY TO ACCESS OR USE THE SERVICES; (ii) ANY CONDUCT OR CONTENT OF ANY THIRD PARTY ON THE SERVICES, INCLUDING WITHOUT LIMITATION, ANY DEFAMATORY, OFFENSIVE OR ILLEGAL CONDUCT OF OTHER USERS OR THIRD PARTIES; (iii) ANY CONTENT OBTAINED FROM THE SERVICES; OR (iv) UNAUTHORIZED ACCESS, USE OR ALTERATION OF YOUR TRANSMISSIONS OR CONTENT. IN NO EVENT SHALL THE AGGREGATE LIABILITY OF THE Chatdog ENTITIES EXCEED THE GREATER OF ONE HUNDRED U.S. DOLLARS (U.S. $100.00) OR THE AMOUNT YOU PAID Chatdog, IF ANY, IN THE PAST SIX MONTHS FOR THE SERVICES GIVING RISE TO THE CLAIM. THE LIMITATIONS OF THIS SUBSECTION SHALL APPLY TO ANY THEORY OF LIABILITY, WHETHER BASED ON WARRANTY, CONTRACT, STATUTE, TORT (INCLUDING NEGLIGENCE) OR OTHERWISE, AND WHETHER OR NOT THE Chatdog ENTITIES HAVE BEEN INFORMED OF THE POSSIBILITY OF ANY SUCH DAMAGE, AND EVEN IF A REMEDY SET FORTH HEREIN IS FOUND TO HAVE FAILED OF ITS ESSENTIAL PURPOSE. You and Chatdog agree that any dispute, claim or controversy arising out of or relating to these Terms or the breach, termination, enforcement, interpretation or validity thereof or the use of the Services or Content (collectively, “Disputes”) will be settled by binding arbitration, except that each party retains the right: (i) to bring an individual action in small claims court (a “Small Claims Action”) and (ii) to seek injunctive or other equitable relief in a court of competent jurisdiction to prevent the actual or threatened infringement, misappropriation or violation of a party’s copyrights, trademarks, trade secrets, patents or other intellectual property rights (an “IP Protection Action”). The exclusive jurisdiction and venue of any IP Protection Action will be the state and federal courts located in the Northern District of California and each of the parties hereto waives any objection to jurisdiction and venue in such courts. Unless you timely provide Chatdog with an Arbitration Opt-out Notice (as defined below in the Section titled “Your Choices”), you acknowledge and agree that you and Chatdog are each waiving the right to a trial by jury or to participate as a plaintiff or class member in any purported class action or representative proceeding. Further, unless both you and Chatdog otherwise agree in writing, the arbitrator may not consolidate more than one person’s claims, and may not otherwise preside over any form of any class or representative proceeding. If this specific paragraph is held unenforceable, then the entirety of this “Dispute Resolution” section will be deemed void. Except as provided in the preceding sentence, this “Dispute Resolution” section will survive any termination of these Terms. The arbitration will be administered by the American Arbitration Association (“AAA”) in accordance with the Commercial Arbitration Rules and the Supplementary Procedures for Consumer Related Disputes (the “AAA Rules”) then in effect, except as modified by this “Dispute Resolution” section. (The AAA Rules are available at https://www.adr.org/mediation or by calling the AAA at 1–800–778–7879.) The Federal Arbitration Act will govern the interpretation and enforcement of this Section. A party who desires to initiate arbitration must provide the other party with a written Demand for Arbitration as specified in the AAA Rules. (The AAA provides a form Demand for Arbitration.) The arbitrator will be either a retired judge or an attorney licensed to practice law and will be selected by the parties from the AAA’s roster of arbitrators. If the parties are unable to agree upon an arbitrator within seven (7) days of delivery of the Demand for Arbitration, then the AAA will appoint the arbitrator in accordance with the AAA Rules. Unless you and Chatdog otherwise agree, the arbitration will be conducted in the county where you reside. If your claim does not exceed $10,000, then the arbitration will be conducted solely on the basis of the documents that you and Chatdog submit to the arbitrator, unless you request a hearing or the arbitrator determines that a hearing is necessary. If your claim exceeds $10,000, your right to a hearing will be determined by the AAA Rules. Subject to the AAA Rules, the arbitrator will have the discretion to direct a reasonable exchange of information by the parties, consistent with the expedited nature of the arbitration. The arbitrator will render an award within the time frame specified in the AAA Rules. The arbitrator’s decision will include the essential findings and conclusions upon which the arbitrator based the award. Judgment on the arbitration award may be entered in any court having jurisdiction thereof. The arbitrator’s award of damages must be consistent with the terms of the “Limitation of Liability” section above as to the types and amounts of damages for which a party may be held liable. The arbitrator may award declaratory or injunctive relief only in favor of the claimant and only to the extent necessary to provide relief warranted by the claimant’s individual claim. If you prevail in arbitration you will be entitled to an award of attorneys’ fees and expenses, to the extent provided under applicable law. Chatdog will not seek, and hereby waives all rights it may have under applicable law to recover, attorneys’ fees and expenses if it prevails in arbitration. Your responsibility to pay any AAA filing, administrative and arbitrator fees will be solely as set forth in the AAA Rules. However, if your claim for damages does not exceed $75,000, Chatdog will pay all such fees unless the arbitrator finds that either the substance of your claim or the relief sought in your Demand for Arbitration was frivolous or was brought for an improper purpose (as measured by the standards set forth in Federal Rule of Civil Procedure 11(b)). Notwithstanding the provisions of the “General Terms” section below regarding changes to these Terms, if Chatdog changes this “Dispute Resolution” section after the date you first accepted these Terms (or accepted any subsequent changes to these Terms), you may reject any such change by sending us written notice (including by email to hi@chatdog.com) within 30 days of the date such change became effective, as indicated in the “Last Updated” date above or in the date of Chatdog’s email to you notifying you of such change. By rejecting any change, you are agreeing that you will arbitrate any Dispute between you and Chatdog in accordance with the provisions of this “Dispute Resolution” section as of the date you first accepted these Terms (or accepted any subsequent changes to these Terms). If you don’t want to settle Disputes by arbitration as described above, you will notify Chatdog by sending us written notice (including by email to hi@chatdog.com) telling us that you don’t want to use arbitration, within thirty (30) days of the date on which you agreed to these Terms (such notice, an “Arbitration Opt-out Notice”), and consequently you agree that all Disputes will be resolved exclusively by a court located in San Francisco, California. If you don’t provide Chatdog with an Arbitration Opt-out Notice within the thirty (30) day period, you will be deemed to have knowingly and intentionally waived your right to litigate any dispute except for a Small Claims Action and an IP Protection Action as set forth above. The failure of Chatdog to enforce any right or provision of these Terms will not be deemed a waiver of such right or provision. In the event that any provision of these Terms is held to be invalid or unenforceable, then that provision will be limited or eliminated to the minimum extent necessary, and the remaining provisions of these Terms will remain in full force and effect. Chatdog’s failure to enforce any right or provision of these Terms will not be considered a waiver of such right or provision. The waiver of any such right or provision will be effective only if in writing and signed by a duly authorized representative of Chatdog. Except as expressly set forth in these Terms, the exercise by either party of any of its remedies under these Terms will be without prejudice to its other remedies under these Terms or otherwise. You may not assign or transfer these Terms, by operation of law or otherwise, without Chatdog’s prior written consent. Any attempt by you to assign or transfer these Terms, without such consent, will be null. Chatdog may freely assign or transfer these Terms without restriction. Subject to the foregoing, these Terms will bind and inure to the benefit of the parties, their successors and permitted assigns. We may revise these Terms from time to time; the most current version will always be at https://chatdog.com. If the revision, in our sole discretion, is material we will notify you via email to the email associated with your account or through the Services. If you do not wish to be bound by any such revisions to the Terms, you must end these Terms with us as set forth in Section 9 above. By continuing to access or use the Services after those revisions become effective, you agree to be bound by the revised Terms. These Services are operated and provided by Chatdog. If you have any questions about these Terms, please contact us at hi@chatdog.com.